The city of Seville has its own large airport situated close to the city centre and is also served by several other airports with easy reach of Seville, including Malaga Airport and Granada Airport. Most flights from beyond Europe tend to stop in Madrid or Barcelona, before arriving at Malaga Airport, which is Andalusia's busiest airport. 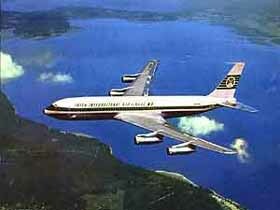 Seville Airport also goes by the name of San Pablo Airport and caters to many international flights. The city's train station provides good connections to many towns and cities nearby, such as Madrid and Cordoba. All of these major airports are well served by international car rental companies, including AVIS, Hertz, Europcar and many others. It is also worth booking a car prior to your travel, particularly in the summer months in the Andalusia area of Spain. Seville Airport is the ideal airport for travellers who are staying close to the coast in Seville. 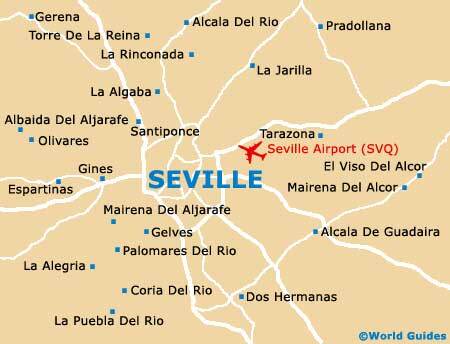 The airport is situated just 4 km / 2.5 miles from Seville city centre, on the NIV road to Madrid and Cordoba. This modern airport has many daily schedule flights to and from cities, including London, Frankfurt, Paris, Madrid, Barcelona and Tenerife. Although there is no public transport available at Seville Airport, taxis are a cheap and useful method of transport. Seville airport has good facilities, including a gift shop, newsstand, café and ticket machine. Book your Sevilla Car Rental here. Malaga Airport is a busy airport and receives over 6 million passengers each year. The airport has good connections to almost 100 international destinations, including many chartered flights from the UK. Malaga Airport is busy throughout the year, but in particular from June to September, when it is essential to book flights well in advance. Malaga Airport is the busiest and most modern airport in the Andalusia region and was built mainly to serve the large amount of tourists visiting this popular part of Spain. The airport is situated close to Seville and is approximately 145 km / 90 miles from Seville's city centre, which is easy to reach by either train or car. Located only a few miles from Morocco, Malaga Airport also serves as a gateway to Africa. Granada Airport is situated on the main road to Malaga and is around 17 km / 10 miles from Granada city centre. The airport caters for internal flights only and there are regular flights to cities such as Tenerife, Las Palmas, Palma de Mallorca, Barcelona, Madrid and Valencia. Granada airport operates between 08:30 until 20:30 and there are good car rental facilities at this airport. Seville city centre is approximately 200 km / 125 miles from Granada Airport. Book your Granada Car Rental here. Gibraltar Airport is located on the well-known British rock and this airport is a useful arrival point for tourists visiting the western side of Andalusia. Close to Seville, Granada airport is fairly small, with less facilities than the major Spanish airports. Book your Gibraltar Car Rental here.